Radio Flyer Glide Just $34.94! Down From $66! PLUS FREE Shipping! You are here: Home / Great Deals / Amazon Deals / Radio Flyer Glide Just $34.94! Down From $66! PLUS FREE Shipping! Amazon is currently offering this Radio Flyer Glide for just $34.94 down from $65.99 PLUS FREE shipping! Boost your child’s confidence by giving him/her a more fun and effective way to learn to ride a bike! This pedal-free beginner bike allows your child to focus on balance, preparing them for a two-wheeler in no time. Avoid wobbly and frustrating training wheels altogether! 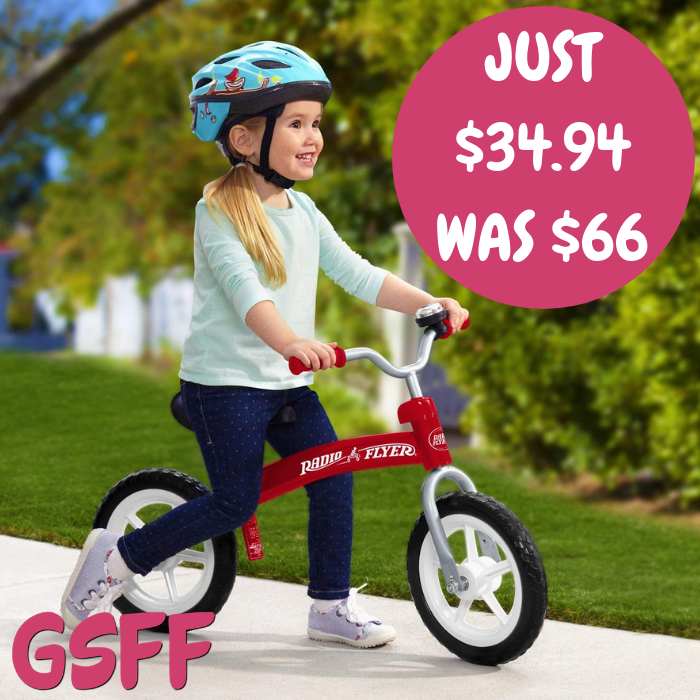 The Glide & Go Balance Bike features Traction Tread tires that hug the road and a sturdy steel frame for durability. The comfort seat adjusts to grow with your child and the ringing bell offers additional fun.